We all know that young children tend to put things in their mouths that don’t belong there. While any manner of small objects can present a choking hazard, button batteries are particularly dangerous. A battery can react with saliva to create an alkaline solution. And this solution can eat away at the tissue of the esophagus if a battery gets stuck there. This can perforate the esophagus, paralyze the vocal cords, and even damage the airway or blood vessels. This damage can happen rapidly - within two hours. But you may not realize what’s happened right away. And even if you rush to the ER, the doctors might not be equipped to handle the situation immediately. I hope you never have to deal with someone swallowing one of these. But if you do, here’s a quick tip on how to help someone if they happen to swallow one. Researchers at Children’s Hospital of Philadelphia wanted to find a way to help buy medical professionals more time when dealing with these emergencies. Using laboratory pigs, the researchers tested a number of acidic substances that could help neutralize the alkaline solution. They also wanted to find something that would provide a protective barrier by coating the esophagus. And it needed to be readily available in most homes. Believe it or not, they found one thing that worked really well: honey. While other studies have found that lemon juice can also help, it’s hard to convince a child to drink it. But most kids will readily swallow honey. 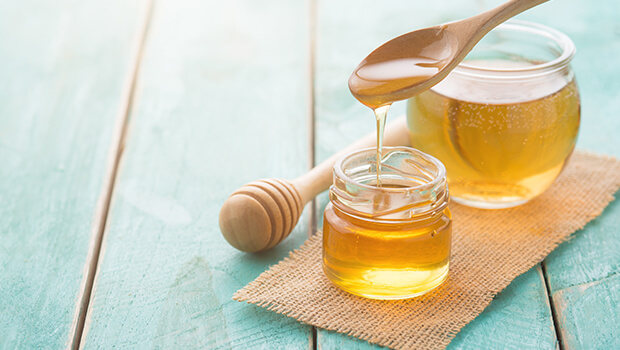 You shouldn’t give honey to children under the age of one or people who have a known allergy. And don’t swallow anything if you suspect the battery has already perforated the esophagus. And honey definitely shouldn’t take the place of immediate medical attention either. But if you or a child has swallowed a battery, administer honey at regular intervals while you’re en route to the hospital. It could buy you some time. Of course, I have to stress again that prevention is the best medicine. Keep batteries locked away from children. Make sure any toys that contain them are in good repair. And if you’re prone to mishaps, keep batteries far away from your pills. You don’t want to grab the wrong package without your glasses or in the middle of the night.